Thanks to you, Wanxiang America Corporation is growing, and for better focus on service to you and all of our automotive business partners, we are introducing a slight modification to our internal organizational structure. 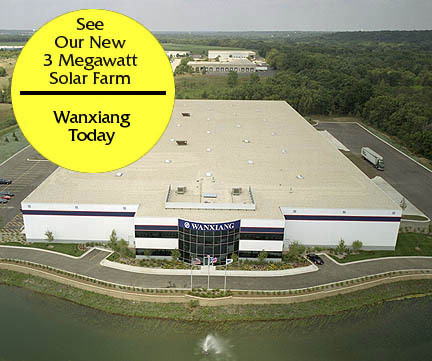 Wanxiang America Corporation is now comprised of two distinct business units separating our automotive distribution business from other types of businesses (Investments & Holdings, Real Estate, Solar, Healthcare, etc.). This is in the express interest of better service to you. Wanxiang America Corporation, based in Chicago, is the U.S. home office of Wanxiang Group Companies China. U.S. companies and customers can deal in U.S. dollar currency and U.S. contracts when working with China. 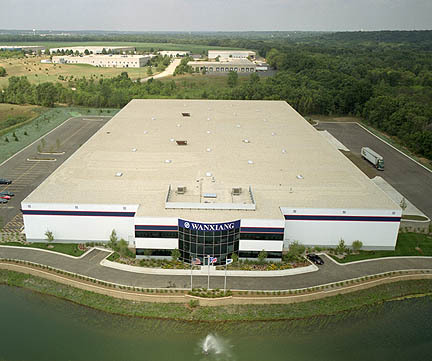 Involved in automotive and industrial markets in the U.S., Wanxiang America is the source for all of Wanxiang Group/China's products in the United States. Also based here is the American arm of the America-China Bridge Program, a unique program to give American companies an inside track when trading with China. Click HERE for more information about our headquarters.